Diana M.A. Carnemolla began her legal career at Gair, Gair, Conason, Rubinowitz, Bloom, Hershenhorn, Steigman & Mackauf in 1989. Motivated by her desire to make more of an impact as an advocate for the catastrophically injured, she continued to work full-time as a paralegal at the firm while attending law school at night. Upon joining the firm as a lawyer in 1997, Ms. Carnemolla continued to work on all aspects of pre-trial preparation of complex medical malpractice cases and major injury litigation, especially in cases involving women and children. Over the years, Ms. Carnemolla has handled numerous personal injury cases, including motor vehicle accidents, trip and fall, labor law claims, and medical negligence, that resulted in recoveries of multi-millions of dollars. 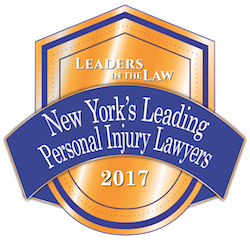 Recently Ms. Carnemolla and Mr Hershenhorn obtained a $85 million verdict for a pedestrian who suffered catastrophic injuries after being struck by a double decker tour bus in New York. In Erie county, she oversaw a medical malpractice action where the defendant medical personnel failed to timely perform a Cesarean section of an infant, who was caused to suffer brain damage. That case settled out of court for the sum of $8.5 million dollars. In another case that Ms. Carnemolla handled, it was claimed that the anesthesiologist improperly administered anesthesia to the patient during a delivery and caused her to suffer brain damage. That case settled for $7 million dollars. She also oversaw a breast cancer case where a breast surgeon and mammographer did not work-up a suspicious mass found by mammography. After Ms. Carnemolla mediated the case, it settled for 1.4 million dollars. 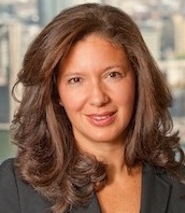 As an integral part of one of the GGCRBHS&M litigation teams, Ms. Carnemolla's involvement includes all aspects of case investigation, consulting with and retaining experts, client and witness interviews, drafting and overseeing pleadings, writing and arguing motions, plaintiffs' and defendants' examinations before trial, court appearances and trial preparation. Ms. Carnemolla is well-known for her thorough preparation of clients for their pre-trial deposition. She recognizes that each client has different needs and devotes as much time necessary so that they are comfortable, well informed and ready when questioned by defense attorneys. Ms. Carnemolla employs the same dedication when questioning adverse witnesses, including defendant physicians, at their depositions. 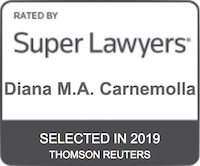 To her credit, many cases and issues have been resolved in her clients' favor due in part to Ms. Carnemolla's ability to question and cross-examine defense witnesses. Her attributes as an experienced and talented personal injury attorney, however, are not limited to her legal skills and knowledge. Ms. Carnemolla is also recognized by her clients for being compassionate and supportive. Her sensitivity to, and empathy for, her clients and their families has made the often times stressful situation, an easier one to bear. Ms. Carnemolla's ability to communicate with her clients and address their concerns provides a constant source of comfort and security upon which they have come to rely. "Along with the loss of a loved one, or life-altering injuries, there are the inevitable lifestyle changes that most people never contemplated and are emotionally unprepared for. In addition to being their zealous advocate, I see it as part of my representative responsibility to treat my clients with respect and dignity and to utilize all of my knowledge and resources to assist them with the variety of consequential issues they may encounter." It was a pleasure working with a firm that dealt with our needs in such a caring and compassionate fashion.